Where have I been? Not dead, just busy. So it’s especially nice to find a recipe that comes together easy and is delicious. 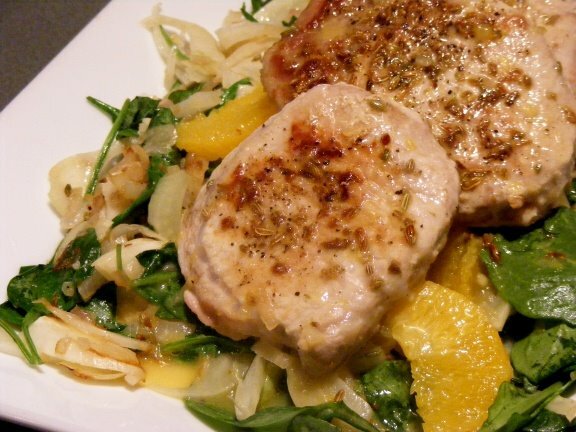 The pork here is juicy, tender, and flavorful; with it’s sprinkling of fennel seeds, it’s reminiscent of a good pork sausage. It’s made even better with the sweetness of oranges and the crunch of fennel. All in all, a meal simple enough to make on a weeknight, but elegant enough to serve to guests.